There is 0% introductory Purchase APR for 14 months. You can double up your miles at the end of the year. This is one time offer. Balance transfer fee is low. You can earn unlimited miles and you can earn 1.5 miles per $1. Purchase and Balance Transfer interest rates are reasonable. 1.5 miles per $1 purchase is average. Company didn't make any statement for foreign transaction fees. It is an important feature for you, if you travel abroad or if you purchase from abroad. Cash Advance Fees and APR are high. You can get bonus miles match a year later and this is too late. 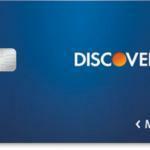 Discover Travel Card is a card which consumers can earn miles. If you want to have a travel card, this can be an option for you. Besides you can double up your total miles rewards at the end of the year with this card. You can see our review for each features of this card below. There is introductory APR period for Purchases and Balance Transfers on Discover Travel Card. Introductory APR for the card is 0% rate for 14 months. For balance transfers, it is 10.99% for 14 months. We believe balance transfers intro APR should be same with purchase (0%). The regular APR is not bad. It is 14.24% – 25.24% for Purchase and Balance Transfers. However Cash Advance rate is 27.24% and this is much. There is no annual fee for the card. Cash Advance fee is high with 5% maximum rate and $10 minimum fee but Balance Transfer fee is very good. 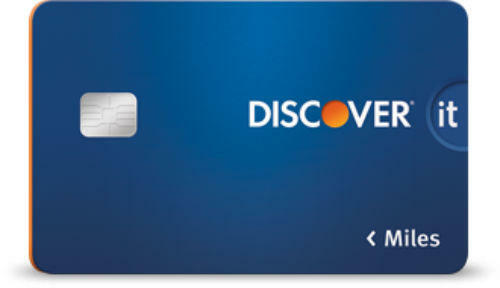 There is no sign up bonus with Discover Travel Card. However you will able to get miles match at the end of the year. It is one time offer and you will able to get your miles match bonuses 12 months later. How much miles you earned in a year? 20000? So you will get 20000 miles… 12 month is a long period though. 1.5 miles per $1 purchase is an average miles reward. You can find much better option than it. We believe that Discover Travel Card can worth it if you can get low APR with it. However as we have already mentioned above, you can get bonus match miles in 12 months. It is very long time. We believe that the company should be more generous for current balance transfer APR. You can see rates and fees of this card below. There is also user reviews and editor scores. 14.24% – 25.24% Unlimited 1.5 miles per every $1 purchase. No Sign Up Bonus with the card. However there is match miles. It means if you earn 10000 miles in a year, you are going to earn 10000 miles. Or 5000 miles for 5000 miles… This is one time offer. None Unknown $10 or 5% 27.24% 3% 10.99% APR for first 14 months. You can see user reviews for Discover Travel Card below. Our users reviews are decisive on rankings of credit cards. If you think that this card deserves a better ranking in Credit Card Center, you can leave a review below. Not a bad card. I am happy with it.